In the two days since it was posted on parliament's official petition website, more than 3 million people have signed a petition asking the British government to cancel Brexit. The number climbed dramatically in the less than 36 hours it was opened for signing, leading the Petitions Committee to tweet: "The rate of signing is the highest the site has ever had to deal with." The petition received more than a quarter of a million signatures shortly after it was put online Wednesday, and caused parliament's petition webpages to crash more than once. The petition reads: "The government repeatedly claims 'exiting the EU is the will of people.' We need to put a stop to this claim by proving the strength of public support now for remaining in the EU. A people's vote may not happen-so vote now." Many celebrities and lawmakers tweeted support for the petition, one of the most popular ever submitted to parliament's website. Scotland's First Minister Nicola Sturgeon wrote: "An issue as big and important as Brexit should not come down to petitions - that said, if you are frustrated that the [prime minister] is just not listening, you can sign here." Downing Street suggested that Prime Minister Theresa May is likely to ignore the petition, saying she "will not countenance revoking Article 50." Andrea Leadsom, May's leader in parliament, told lawmakers on Thursday that "should the petition reach more than 17.4 million signatures, there would be a very clear case for taking action." Colin Talbot, a professor of government at Manchester University, said the Twitter-led surge in support for the petition was "quite extraordinary." "It clearly shows the increasing power of social media... and of course it will be a massive morale boost to Remainers of all stripes," Talbot wrote in a blog post. "There is no corresponding mobilization on the Leave side," he added. "MPs will notice," Talbot said. "The petition allows them to see what the response is in their areas. They know that this level of activity about anything is significant." 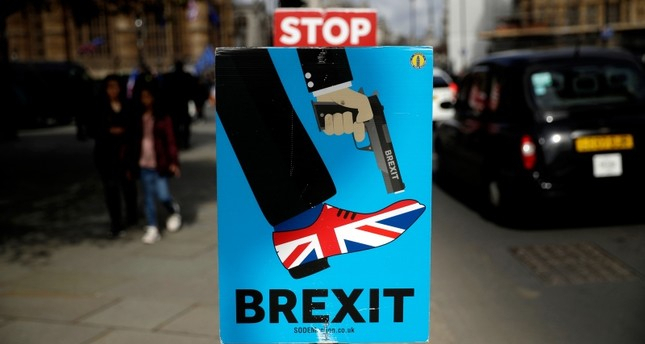 The European Court of Justice previously ruled that the U.K. can unilaterally revoke Article 50 of the Lisbon Treaty-the section of the treaty Britain invoked to leave-and stop Brexit to remain in the bloc. Brussels on Thursday agreed to an extension of Article 50 until May 22 if the withdrawal agreement is approved by the House of Commons. If the deal fails to receive enough support and is rejected a third time, the extension will only run up to April 12. Any petition signed by 100,000 people is debated at the British parliament.